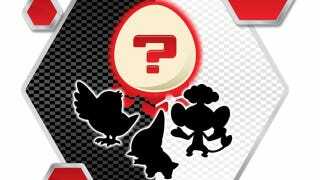 What Will You Find Inside Pokémon Black And White's Secret Egg? In the Pokémon Black and White cartoon, Ash will soon find himself the proud owner of a mysterious Pokémon egg. From April 27 through May 31, fans can snag their own Secret Egg from Toys "R" Us and play along. Pokémon players are used to visiting retail stores to acquire special new Pokémon, but this is something new. Once fans acquire their Secret Egg from a convenient Toys "R" Us location they'll need to care for it, just like Ash, until it hatches into one of three playable Pokémon, ready to be trained and forced into battle after battle, desperate for the sweet release of death.